A historic climate boundary which marks the division between the humid eastern region of North America and the more arid western region has deviated 140 miles to the east of its original location — thanks to climate change. In a study recently published in Earth Interactions, scientists identified three factors that contribute to the formation of the visible division between North American climatic zones: the Rocky Mountains’ ability to disrupt moisture from reaching inland, Atlantic winter storms and summertime humidity that rises northeast from the Gulf of Mexico. The 100th meridian climate boundary has affected historic development in the United States. Eastern lands have greater population density and infrastructure, and agriculture is dominated by corn, a moisture-loving plant. To the west of the divide, agriculture is dependent on larger farms with crops — such as wheat — that flourish in arid regions, and urban development is generally more scarce. A precipitation map demonstrates the clear division of climate zones in the United States along the 100th Meridian. 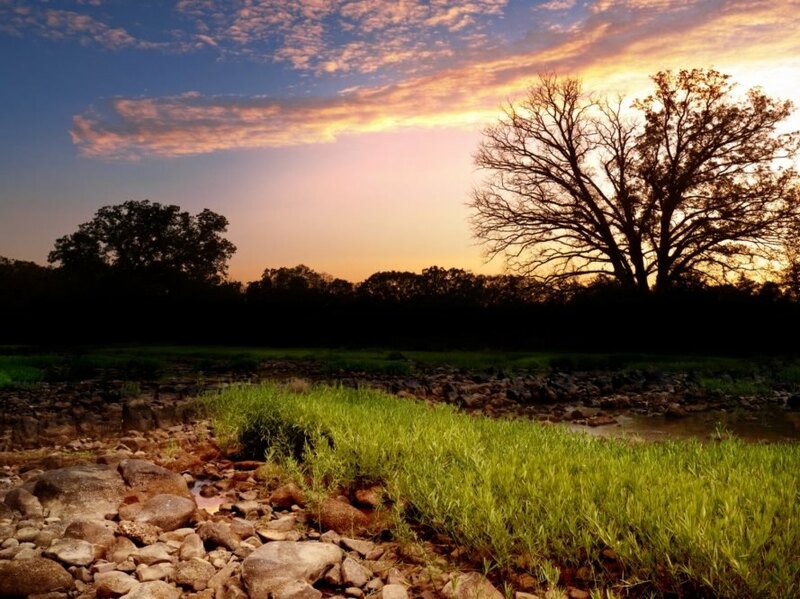 A sunset scene in Oklahoma, a state that straddles the climate boundary along the 100th Meridian line.